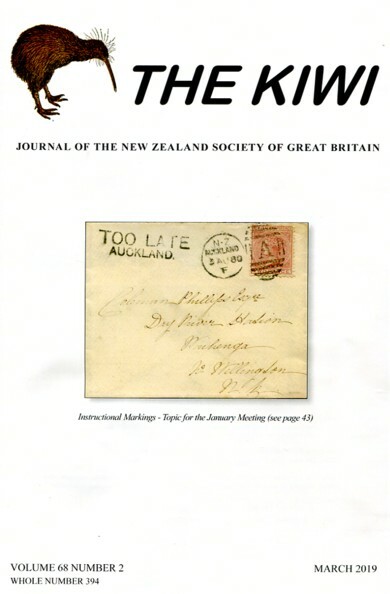 The Society exists for the study of the stamps and postal history of New Zealand and its Dependencies. Although the majority of our members are based in Great Britain, we have a large number of international members. All aspects of New Zealand philately and stamp collecting are dealt with by our members: from Chalon Heads to modern issues; postal history including air mails; health, Christmas issues, commemoratives, Antarctica and revenues as well as definitive postage stamps. Our members range from general collectors to the top specialists in their field. 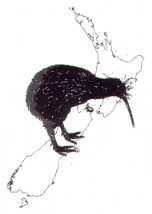 Members who have signed up to get The Kiwi in electronic form can access it here using the user name and password that they have been given. Meetings are held in London every two months and, in addition, Regional Groups meet in the North West, the Midlands, the West of England and in Scotland. Information is available here. We are building a major research archive on New Zealand philately. It includes original official Government documents, Campbell Paterson Newsletters and Bulletins, Mrs Purdon illustrated covers and unpublished research by members of which the most recent examples are a study of "Crown within Circle Date Stamps" and a study of the 1967 Health issue. Links to past NZ Post Bulletins and Focus Magazines are available here. Every two years we have a residential weekend held in different parts of the country. The last residential weekend was in Bath on 28th - 30th September 2018. Members' collecting interests are supported by a thriving packet circuit (available to all UK members), an annual auction and an extensive Library managed in partnership with the National Philatelic Society. The Library Guide and List can be downloaded here. A complete site search can be made, e.g. for words in all articles in The Kiwi or CP Newsletter.